• Wash and chop the Scent leaves – Set Aside. • If you are Using fresh fish, remove the intestines and wash thoroughly. If you are using smoked fish like i used in this recipe, Gently open and remove the bones, rinse and set aside. Step 1: Place the washed fish in a medium sized pot. Add the ground pepper, Part of the chopped onions, crushed seasoning, salt to taste . Add just enough water to cover the content of the pot and steam for 5 mins. if you are Using fresh fish, scoop it out into a separate dish and set aside. If you are Using smoked fish, leave the fish in the stock and move to step 2. Step 2: Gently add the chopped plantain into the fish stock. 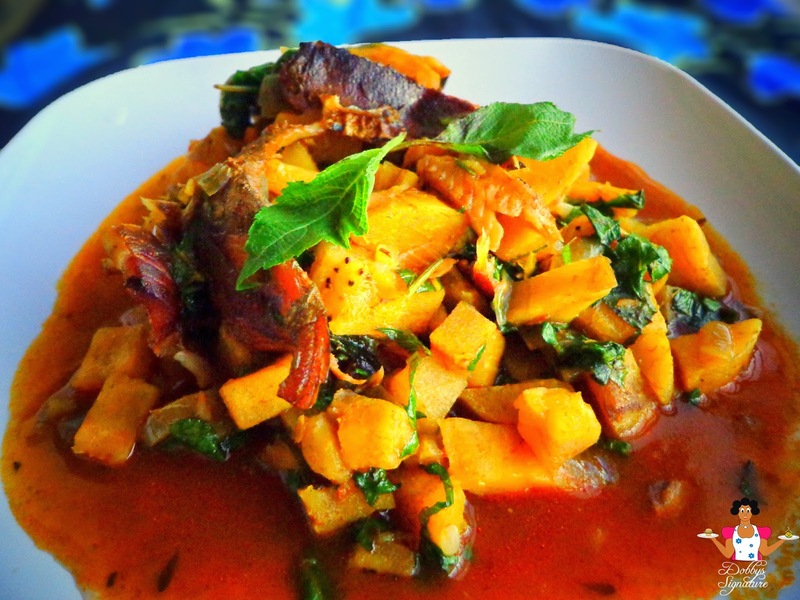 Add just enough water to cover the plantain in the pot, The remaining chopped onion, crayfish and palm oil. Check for salt and seasoning if need be. Cook for about 35-40 minutes till it softens. Step 3: Once the liquid in the pot reduces, turn the burner to the lowest. Plantain porridge tastes better if it’s got more of the porridge part in it. 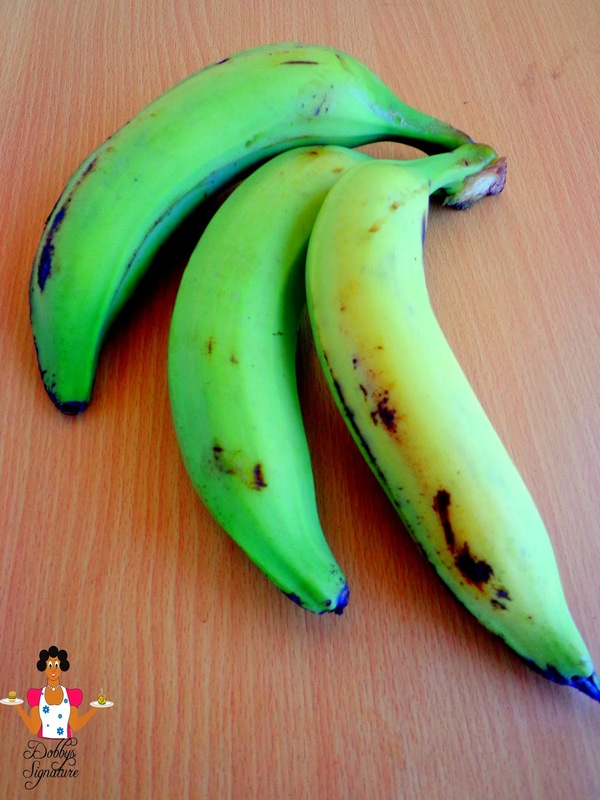 To get more of that part, you could mash up the plantains a little bit in the pot. Step 4: At this point, add your cooked fresh fish and chopped Scent leaves and leave to simmer further on low heat for 5 mins. Turn off the burner and serve.